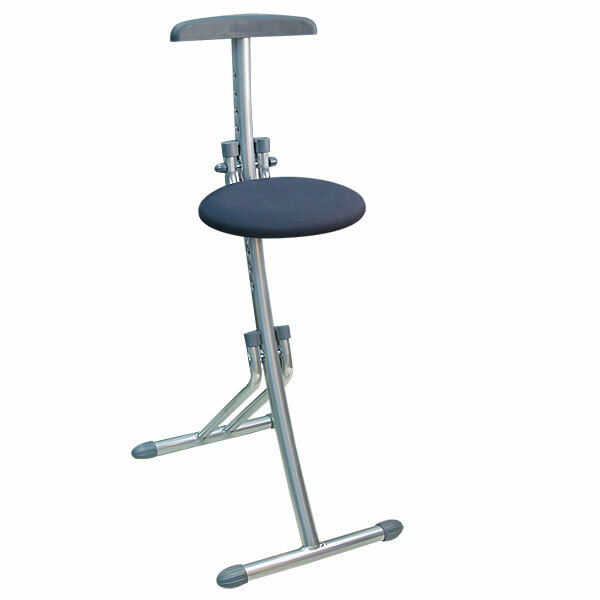 Adjusts to 13 heights, from 17-3/4" to 33-1/2"
Now you can sit while cooking, ironing, working, and even waiting on ticket lines The handy Multi-Purpose Folding Stand-Up Seat affords you the comfort of sitting practically anywhere. This lightweight, collapsible unit folds up for traveling; you'll want to take it with you everywhere you go. Adjusts to 13 different height positions, from 17-3/4" to 33-1/2". Cushioned seat provides comfort, backrest for support, and wide leg-base for anti-tilt stability. Ideal for those who find it difficult to stand for long periods. Fits into tight spaces; collapses to convenient 3' 8" long. Chrome finish. Capacity: 265 lbs. Product Weight 8.5 lbs.